If you have trouble reading type on pictures, that would be The Imposter Bride, by Nancy Richler. Once again, deliberations were quick — the initial ratings from all four jurors showed almost unanimous agreement that two books rated ahead of the other three on the shortlist (Will Ferguson’s 419 was the other choice). However, three of us had Richler’s novel ahead and the fourth had it a close second. The Shadow Giller always attempts to be transparent, so here’s how the judging went. b.	Trevor: I didn’t know they would end up quite that close, but in truth I am fine with any of the top three winning, which I find a bit troubling. After all, I would like to have loved one enough to put it way on top. That said, I did like four of them. I thought The Imposter Bride was a good read, well written with superb storytelling skills. It was a bit more reliant on plot mechanics than I usually like, but overall, it is my top choice, and I can see myself recommending it to certain readers. In second, I put Ru, which I liked quite a bit, especially since it is the only book on this list that I thought was using language and structure to underlie its themes. 419 was entertaining and all, and I enjoyed it, but again, heavy on the plot mechanics and not entirely to my taste. For the short stories, I was very impressed with parts and unimpressed with the whole. I found some of the stories to be simple exercises, which I don’t like at all as it goes against my defense of the short story. That said, there were parts I found extraordinary, enough that I could be persuaded to give it more points. 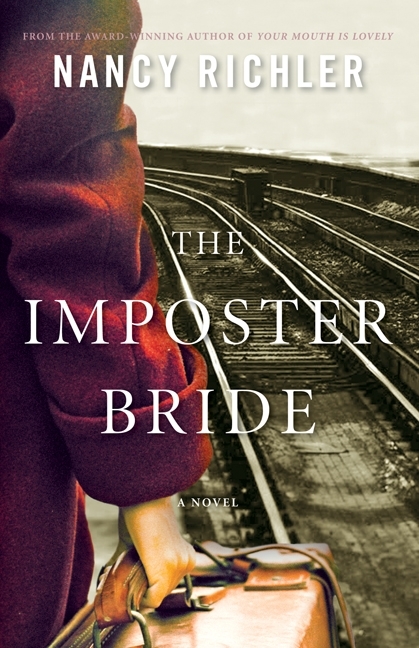 d. Kevin: While I was grumpy in my review of The Imposter Bride (and admitted in concluding it that that was probably a product of similarities in plot to other longlist books that I had just finished reading), it is one of those books that has improved daily in memory since I finished it. There is not a lot of drama to the story, but it is complex and Richler does an excellent job of melding the many parts of her story. The sense of “family” that she ends up conveying is very powerful. And as a Canadian, the portrait she paints of a generation of Montreal Jews (a contrast in tone but not sense to her distant relative Mordecai, one of my favorite authors) is excellent. As Kim noted, there are a lot of Jewish refugee books but I don’t think this one falls into a trap of cliché in the genre. My biggest concern would probably be the use of the diary as a convenient plot device – it bothered me when I read the book but that concern has diminished. I think Ferguson’s novel is more ambitious and in the end that provided some problems which provoked my listing it second. The Calgary parts and Laura’s story work quite well; the closer the author gets to trying to tell Nigerian stories, the weaker the book got. I’ve discovered from comments on the blog since I posted the review that a Nigerian writer has already produced a novel on the 419 phenomenon that I was not aware of (I Do Not Come to You By Chance by Adaobi Tricia Nwaubani). I was a bit concerned about appropriation of voice when I read the book, I’ll admit, and it is a concern that has not gone away. So while Ferguson would get the edge from me for ambition, I think Richler’s better execution (as Kim points out in her excellent review – better than mine, I must say) gives her the edge for me. Since three of us had The Imposter Bride first and Kim said in her comments she had trouble selecting between the two, the chair suggested we make it the choice and all agreed. Now, those who followed the 2011 Shadow Jury deliberations might remember that we had a similar situation last year: a tilt toward The Free World by David Bezmozgis, although Kim ranked Half Blood Blues by Esi Edugyan first and the Real Jury agreed with her. So, if this year’s Real Jury picks 419, we may have to give Kim 200 votes to spread around next year. You can find links to reviews of the winner and other shortlisted novels from Kim, Trevor and KfC in the sidebar over to the right — do check them out. I think it is fair to say that we didn’t find this year’s longlist quite up to the quality of last year’s, but we still had a great time with the 2012 Shadow Giller. Now it is just a matter of sitting back a couple of days to see what the Real Jury decides (I doubt we will learn as much about their judging as I have tried to supply here 🙂 ). Thanks to everyone who followed along with us.